Good sleep hygiene is the first step in the treatment of sleep phase disorders. This involves having a regular bed-time, regular get-up time and not reading or watching television in bed. 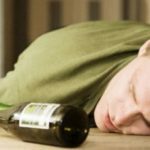 The following techniques can also be useful in the treatment of sleep phase disorders. A doctor helps the person to limit the time they spend in bed and no naps are allowed during the day. This causes some degree of sleep deprivation which helps the person fall asleep quicker and stay asleep throughout the night. Someone with a sleep phase disorder should also be exposed to bright light at certain times of the day. The time of day that they need to be in the bright light will differ depending on the disorder and can be worked out with a sleep doctor. 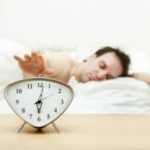 For example, a person with delayed sleep phase syndrome should get up early in the morning and either go outside in the bright sun light or be exposed to bright artificial light to help reset their body clock. 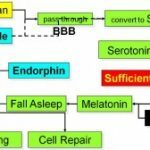 Certain kinds of medication (like melatonin) can also be useful in the treatment of sleep phase disorders if the steps mentioned above are not successful. The use of melatonin should be discussed with a doctor as it is important that it be taken at the right time of day and in the correct dose.